Pappas & Pappas Family Dentistry & Endodontics is committed to giving you the smile you deserve with advanced cosmetic dentistry in South Pasadena. Our variety of treatment options helps you find the right solution for any cosmetic problem you’re facing -- from yellowed teeth, to missing and severely damaged teeth. We customize each cosmetic treatment plan to deliver the results you want and create a stunning new smile. Crowns and Bridges – Gaps caused by missing teeth, or visibly damaged teeth, can greatly diminish the appearance of your smile. But our dentists are highly skilled at replacing and restoring teeth with dental crowns and bridges. Our South Pasadena dentists perform cosmetic crown and bridge restorations with a focus on conservative care – wherever possible. We do not compromise remaining healthy tooth structure to improve your smile. 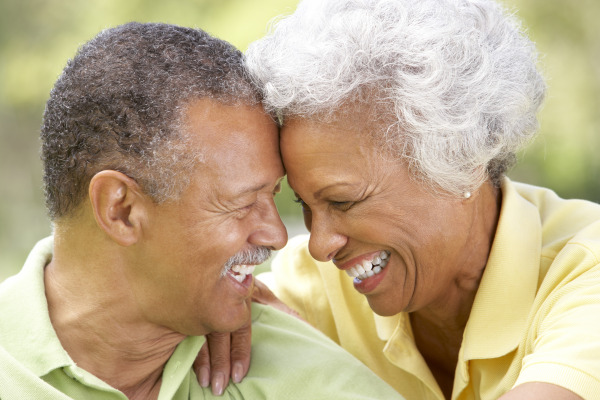 Our crowns and bridges can be made from a variety of materials to support longevity and function. For best aesthetic results, we provide all-porcelain crowns and bridges, which look more like your natural teeth. We can even permanently stabilize crowns and bridges by adding dental implants to your treatment plan. Teeth Whitening – We use powerful Zoom! bleaching to lift years of discoloration from the surface of your teeth in under an hour and in just one dental appointment at our South Pasadena office. For patients who prefer to whiten their teeth at home, we offer custom-made, take-home whitening trays from Day White and Nite White. Our take-home whitening patients see beautiful results in just 10 days – without the hassle and unpredictability of over-the-counter strips. Our wide array of whitening options makes it easy for our cosmetic dentists to meet our patients’ needs. Full and Partial Dentures – If total tooth loss has dramatically changed your appearance, our modern full-mouth restoration options make it easy to get the beautiful smile you want. We offer full dentures and flexible partial dentures, for maximized comfort and oral function with prosthodontic treatment. For the best in full mouth restoration with dentures, we can permanently attach your replacement teeth with implants. Bonding – When teeth have suffered more minor cosmetic damage, like chips and cracks, the whole balance of your smile is thrown-off. Cosmetic dental bonding is a great way to repair broken and damaged teeth, in a way that does not involve removing healthy dental enamel. Using a tooth-colored resin, we are able to build-up teeth so that they appear damage-free. White/Tooth-Colored Fillings - Silver metal fillings aren’t exactly a seamless way to repair small spots of tooth decay. With our white dental fillings, we can treat cavities in a way that works best for your appearance and oral health. At Pappas & Pappas: Family Dentistry & Endodontics, we are skilled at permanently replacing missing teeth with dental implants, for the best in cosmetic care and renewed oral function. Implants are total teeth replacements. Each implant consists of a titanium post that is surgically placed into the jaw bone to support prosthetics, like crowns, bridges, and dentures. Through cosmetic restoration with dental implants, patients receive long-lasting new teeth that look and feel just like their own. Our cosmetic dentists can place your dental implants right in our office – as many as you need. Whether you need a single dental implant and a porcelain crown, or 4-6 implants to stabilize a full denture, our office can help. We precisely plan your dental implant treatment with high-tech imaging, so your new teeth are as strong and as long-lasting as possible. Dental implants are the ultimate restoration for improving the appearance of your smile and restoring oral function that has been diminished as a result of missing teeth. You don’t have to live with damaged teeth or an unattractive smile. To learn more about what our South Pasadena cosmetic dentists can do for you, contact us today to schedule your consultation.